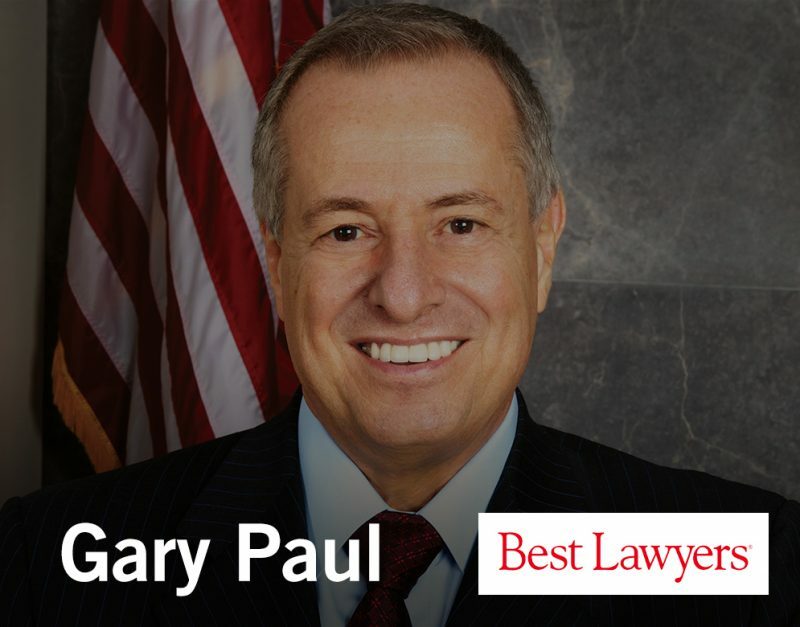 Gary Paul, a partner at Waters Kraus & Paul, has been named to Best Lawyers®, the only “purely peer-review™” guide to the legal profession. Mr. Paul has been included for his work in the category of Personal Injury Litigation – Plaintiffs in the 24th edition (2018) and the current 25th edition (2019). Attorneys named to The Best Lawyers in America are recognized by their peers in the legal industry for their professional excellence in a particular practice area. The process begins when attorneys are nominated. They are then divided by geographic region and practice areas to be evaluated by their peers on the basis of professional expertise. After validation confirming the attorneys are currently practicing in good standing, they can then be recognized by Best Lawyers. Prior to beginning his law career, Gary Paul studied engineering at both Arizona State University and UCLA. He went on to work as a space and missile engineer for a decade. Mr. Paul earned his Juris Doctor degree from Loyola Law School in Los Angeles and was admitted to practice by the State Bar of California. He has more than four decades of experience as a trial lawyer and has achieved the rank of Diplomate with the American Board of Trial Advocates. His areas of practice include asbestos litigation, product liability, toxic torts, qui tam, and other areas. A respected author and presenter, Mr. Paul has written numerous articles for legal journals and is frequently asked to speak at legal symposia and continuing legal education seminars. Waters Kraus & Paul is a mid-sized plaintiffs’ firm experienced in a variety of practice areas including asbestos litigation, benzene, medical device injuries, birth defects linked to toxic exposures, and qui tam whistleblowers. The attorneys at Waters Kraus & Paul are fighting to hold corporations responsible for their negligent actions and are prepared to take each and every case to trial to ensure justice for their clients. Email us or call at 800.226.9880 to discuss your potential lawsuit.